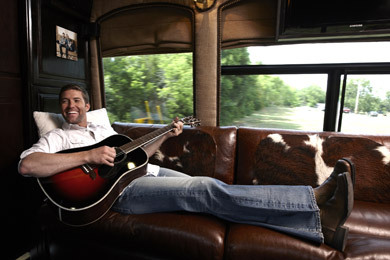 Josh Turner is planning to release his second Cracker Barrel exclusive album, Josh Turner—Live Across America, on Aug. 27. The live recordings were made during 12 different live shows throughout Turner’s 2012 Cracker Barrel-sponsored tour, which continues through December. The collection, which includes a never-before-released version of Waylon Jennings’ “America,” will be available in Cracker Barrel stores, online on crackerbarrel.com, Amazon, and on iTunes. Turner previously partnered with Cracker Barrel for 2007’s Live at the Ryman. In addition, a sweepstakes is available from the Old Country Store offering an all-expenses paid trip to Nashville to meet Turner before his performance at the Grand Ole Opry. Entries for the contest will be accepted through Sept. 14. Official details here.